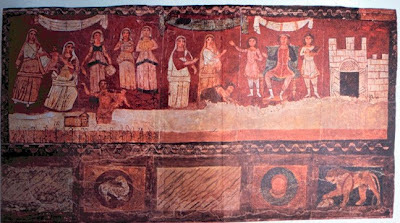 “Dura Considered” by co-curator Richard McBee on the ancient Dura Europos. 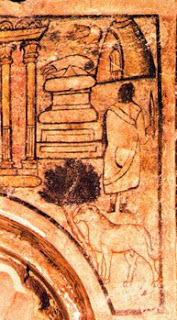 “Aladen’s Lamp had been rubbed and suddenly from the dry, brown, bare desert had appeared paintings, not just one nor a panel nor a wall but a whole building of scene after scene, all drawn from the Old Testament in ways never dreamed of before”; exclaimed Clark Hopkins, one of the first archeologists to see the newly discovered frescoes from the synagogue at Dura Europos in 1932. 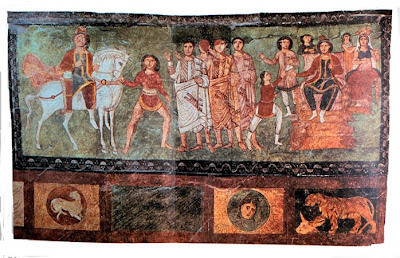 Many of the Dura stories, including Exodus, are depicted using Continuous Narrative (mentioned as ‘Sequential Narrative’ in Part I (Jewish Press – June 25); a technique in which the action unfolds in one continuous visual field, depicting the same characters repeatedly as events develop, thereby conflating time and space. 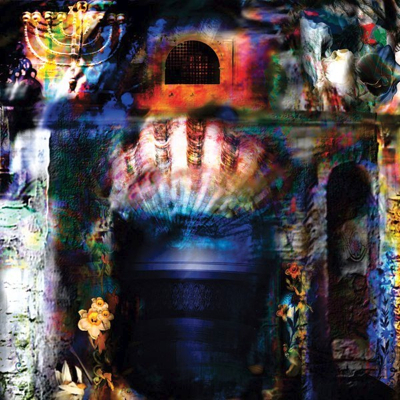 Trajan’s Column in Rome depicts the events of the Dacian Wars in one continuous strip winding from bottom to top of the 98’ column. 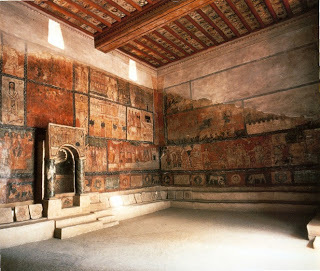 Completed around 131 CE, it is a well-known example of Continuous Narrative. 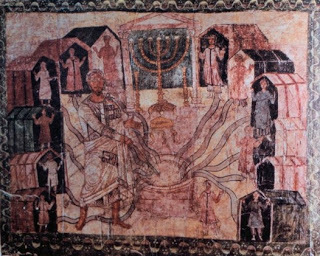 One example of this is found on the second (middle) register of the western wall. 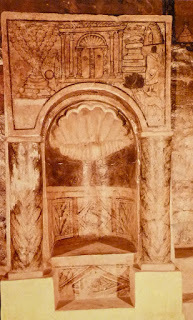 Previously I commented in Part I (Jewish Press – June 25) that the big central panels above the Torah niche (labeled Jacob Blessing his Sons) are much too damaged to be really certain of its subject. Nonetheless, the panels are either side present what I would characterize as a Comparative Narrative. 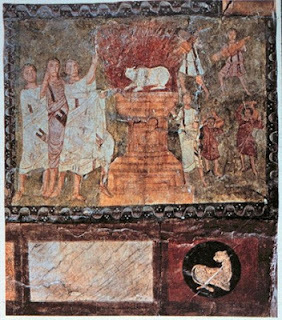 If one consults the plan of the Dura murals seen in Part I, the subjects read, from left to right: The Miraculous Well in the Desert, Consecration of the Tabernacle, Temple of Dagon and The Ark Among the Philistines. 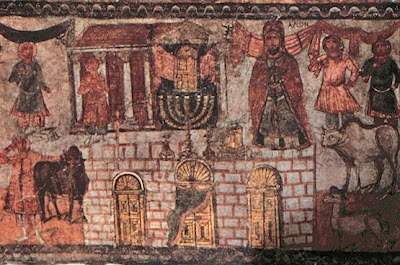 Many aspects of these panels invite invidious comparison between Jewish worship and pagan practices.